Easy Store : Free eCommerce WordPress Themes - Beautiful Themes! 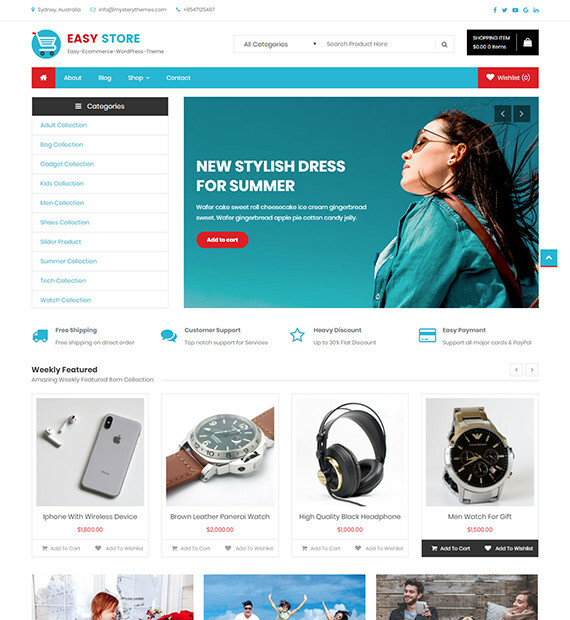 Easy Store is an awesome free eCommerce WordPress Theme. This theme is fully responsive and well optimized for all mobile devices. It is fully compatible with WooCommerce which is very useful for shopping site and store. If there will be any diffuculties while using the theme then you will get an awesome support from the team. The theme is built on customizer that allows you to customize your site the way you like.